The Harvest Bed & Breakfast - All Good Things Come from the Harvest! All Good Things Come From the Harvest! with Luxurious Amenities of Today. Welcome to The Harvest Bed & Breakfast. 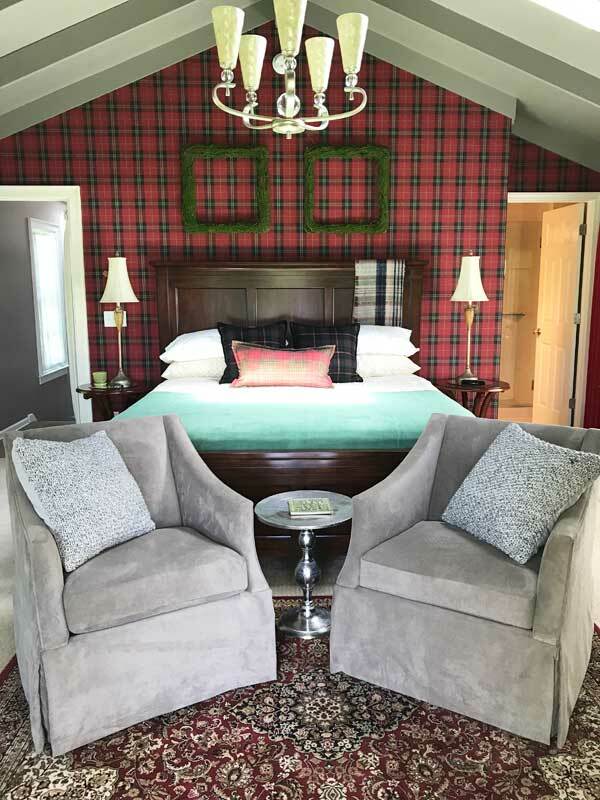 Built in 1870 and setting distinguished on a hill overlooking lush orchards below, The Harvest Bed & Breakfast gathers together the simplicity of the past with luxurious amenities of today. The Harvest offers more than just a bed and breakfast. The Harvest Bed & Breakfast offers an experience. Our bed and breakfast boasts of its harvest of comfort, laughter, peacefulness and memories all busheled together with a delicious farm fresh breakfast and a few other surprises to please any pallet. 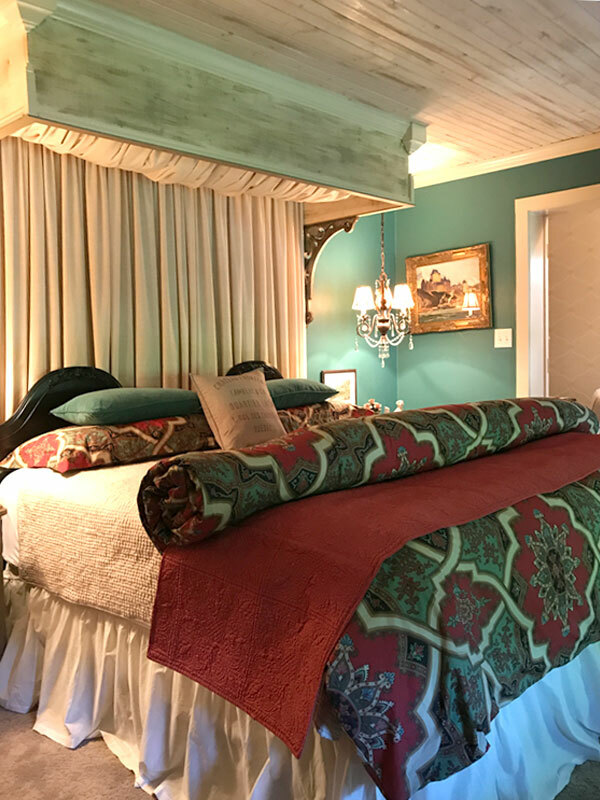 Each guest suite at The Harvest Bed & Breakfast offers a unique bed experience inviting you to a get-away far, far away. 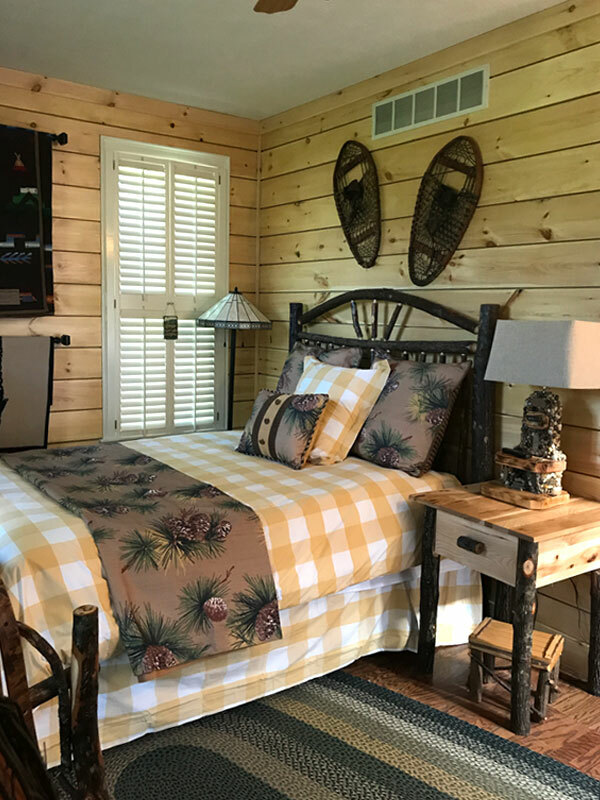 From furnishings to bedding to the smallest detail and decor, the atmosphere created in each room is sure to bring you to a different destination of rest, comfort and relaxation. 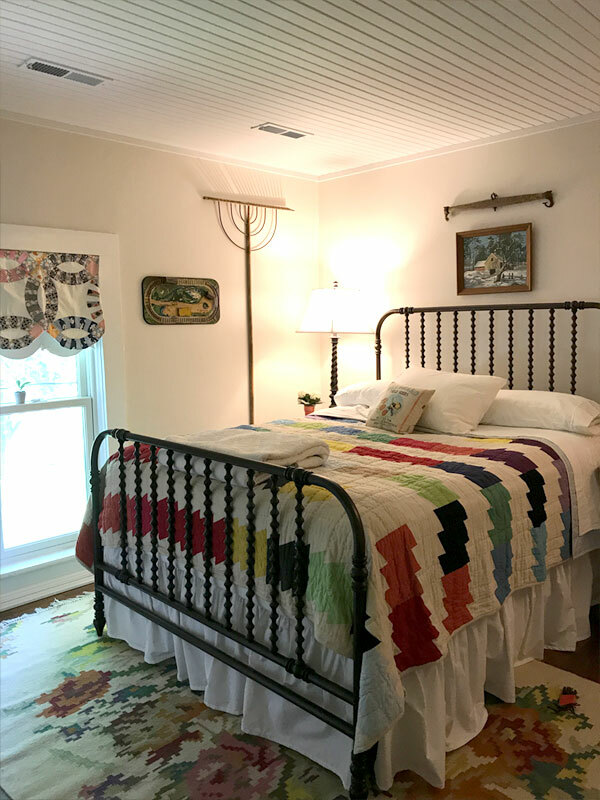 The Innkeepers, Ron and Cindy Hestad began their two-year renovation of the farmhouse in December of 2015. 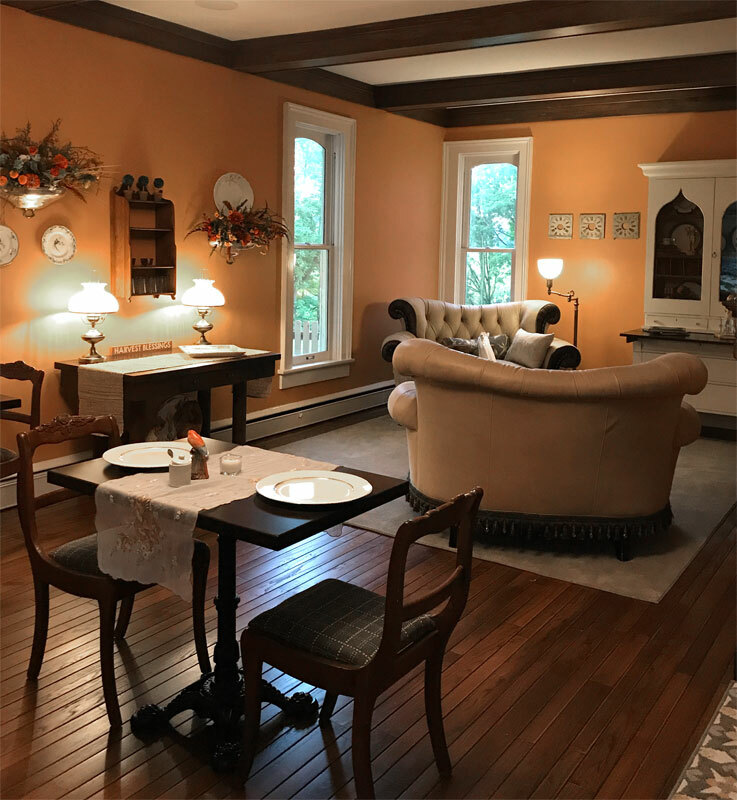 Despite these updates, the farmhouse remains simple and elegant, and certainly full of many wonderful memories beginning with the Ehninger’s from Germany who built the home almost 150 years ago. The Hestads’ look forward to providing you with a pampering, peaceful stay while offering you the comforts of home. When you arrive and pull in to your own private parking space, you may be greeted by two yellow labs, Scooby and Morgan. The fall pumpkin patch may be ready to harvest or the many bluebirds may be sweetly chirping. If you feel up to hiking on our short trail through the woods you will certainly enjoy the view during any season of the neighboring orchards or the beautiful white oak proudly standing for over 200 years. No matter what your preference may be….all good things come from the Harvest. Check Availabilty or Book Now! ... destinations of rest, comfort and relaxation. CONTACT US at 269.684.6676 FOR MORE INFORMATION!